Some people are just born with that creative bone in their bodies. Chad VanGaalen was actually born with more than his share. If you can’t get enough of his art or animated videos, then pop in his latest release Diaper Island. 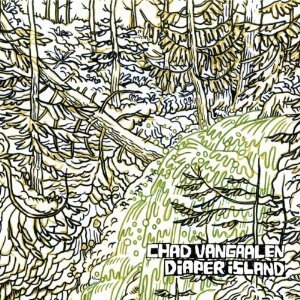 In true artist form, you rarely find VanGaalen outside of his underground home in Canada, but for Diaper Island he emerged with an invigorating set of ideas inspired his recording techniques on the latest Women album. “Replace Me” is definitely the gem on this album with bold guitar and motivating rhythms. There’s so much conviction in the lyrics “I need someone, someone to replace me” that I can actually feel his moment of pondering life. Then there’s also the mysterious essence in “Peace on the Rise” which would be a great addition to a Donnie Darko kind of movie. Clearly different from what we’re used to hearing from VanGaalen, this album is still a tribute to his natural emotional vulnerability. Twelve tracks of nostalgic flavor coupled with outspoken guitars showed me a new side of VanGaalen, and I like where he’s heading.